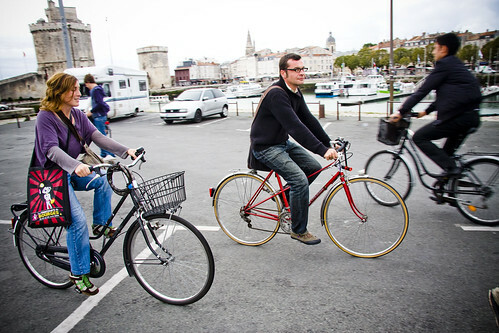 Here are a few afternoon shots from a cycling life in the French city of La Rochelle. 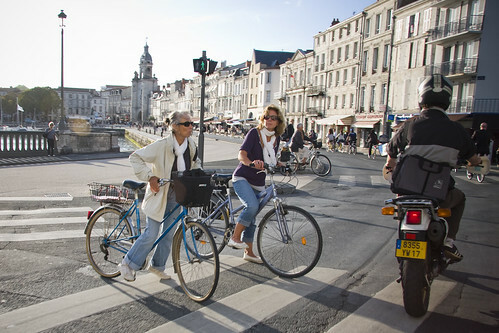 Regular people using bicycles to get around their city. Just the way it should be. All age and wage brackets are doing it. Shoulder checking, too. 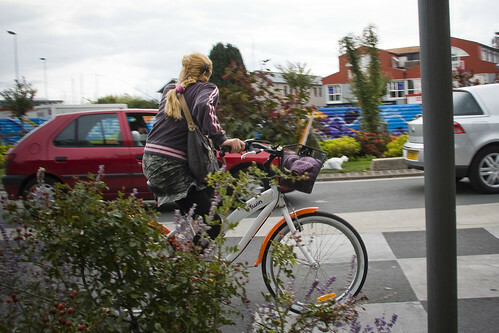 Although I suspect she is looking for someone since she is cycling in a gloriously wide bike lane. I love the blog (and the KBH.) You should check out the super hip (and chic) David Byrne video on the New York Times online. I think it is right up your alley. Cheers!